Anthony’s Key Resort is owned and managed by the Galindo family and has been in operation since 1970. 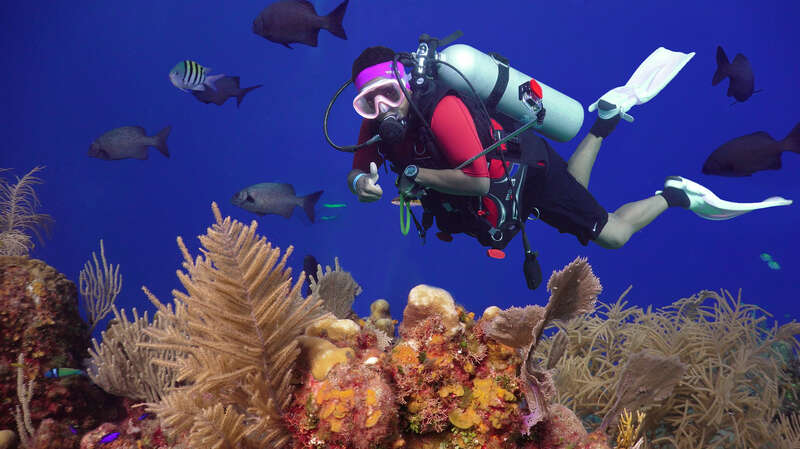 Julio Galindo Sr. (Don Julio) was born and raised on Roatan and his accomplishments far exceed the well-run five-star dive resort that he has managed for more than 30 years. Don Julio and his family have been active in the political, environmental, and social aspects of the Bay Islands for many years. Shortly after Don Julio began his involvement as manager of AKR, he was elected Mayor of Roatan, a position he served for four years. He took a break from politics after becoming sole owner of the resort and under his direction; the resort underwent several large expansions. One of these expansions included the establishment of the Roatan Institute for Marine Sciences (RIMS) in 1989. As a strong advocate for education, research, and conservation, Don Julio has said, “We can no longer take it for granted that our reefs, lagoons, forests, and the life they support can absorb without damage the development the island will inevitably experience. Opportunities for systematic study and research of our habitats should be offered. It is imperative that we preserve what we have.” It is this active interest in the quality of life and environment that put Don Julio back in the political arena once again. In 1990 he was elected Senator of the Bay Islands and was also appointed as Chairman for the Development of the Bay Islands. In 2009 he ran and was elected for mayor and served a four-year term. His wife, Cheryl Galindo, is also an active member of the community. With the guidance and expertise of the Honduran Institute of Anthropology, Cheryl created the Roatan Museum in 1992, which is housed in the RIMS facility. 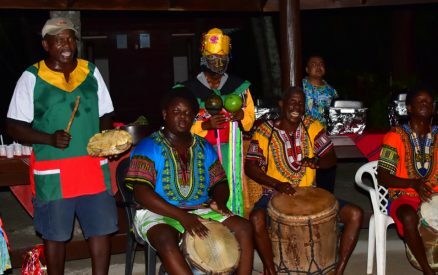 She served as head of the board of directors for the Bay Islands Conservation Association (BICA), a non-profit environmental organization and she is the founder of the Roatan Bilingual School in Coxen Hole. Managers of the resort and US office are Samir, Haydee, and Julito (May 26, 1966-November 13, 2007), Julio and Cheryl’s sons and daughter. Assisting them is a dedicated staff of more than 200 office workers, groundsmen, housekeepers, kitchen and wait-staff, dive staff, boat crew, repair crew, and security. 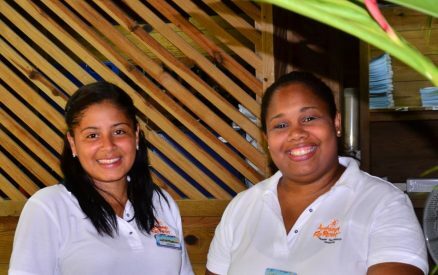 The staff is extremely friendly and courteous and a great source of stories on island life. Five decades ago, we envisioned a small intimate hideaway. We wanted to create a resort that gives guests an authentic island experience and embraces the beauty of the Caribbean as nature intended. While our popularity may have grown over the past 50 years, we still pride ourselves on maintaining our peaceful slice of Paradise. 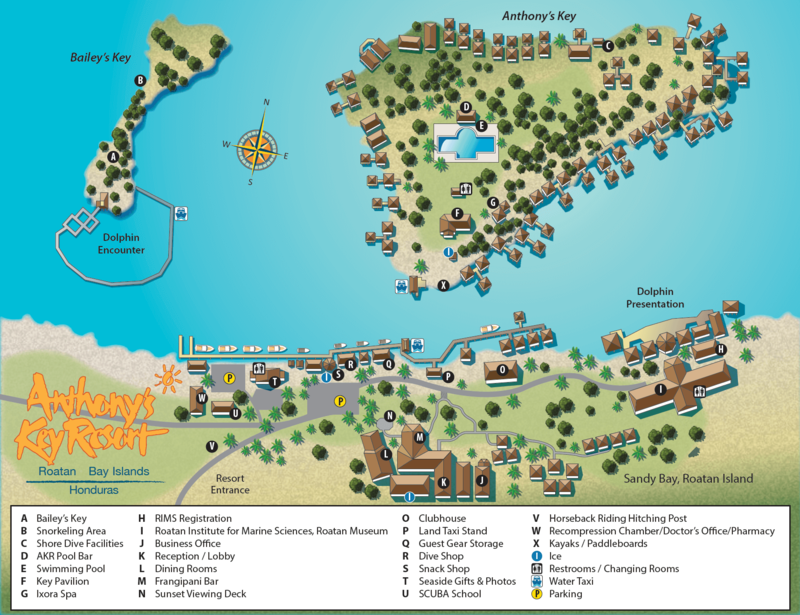 What is it about Anthony’s Key Resort that keeps guests coming back year after year? 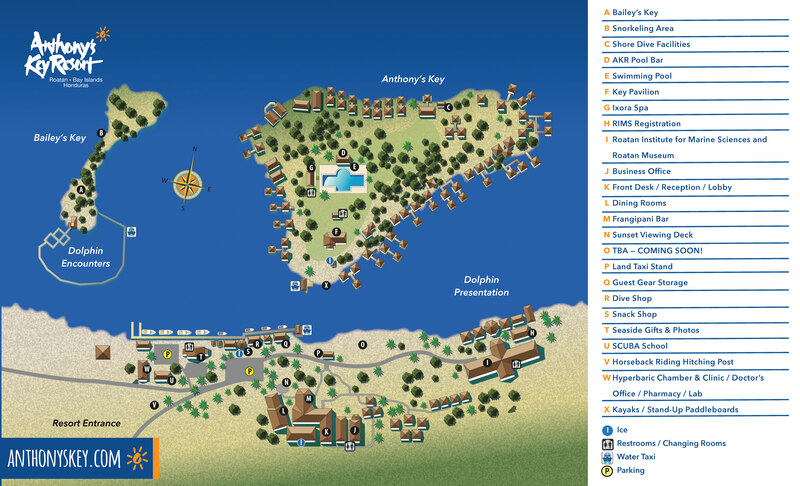 We think it’s a combination of our gorgeous location, plenty of things to do, and our amazing staff. 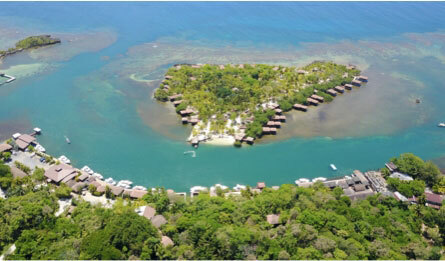 Anthony’s Key is a small cay in the located off the coast of Roatan. Guests can choose between staying in one of our quiet hillside bungalows or enjoy ocean views in one of our gorgeous key-side accommodations. Don’t be surprised if you find that your favorite afternoon pastime during your stay is lazing in one of our hammocks, enjoying the sights and sounds of the water. 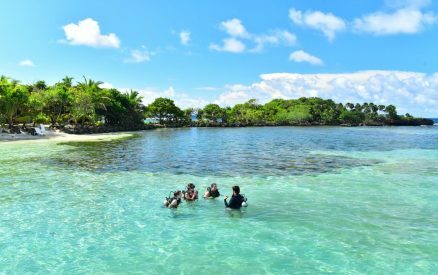 However, if you’re in the mood for some adventure, you’ll find a variety of water-sports equipment on the key’s small beach. Enjoy an afternoon dip in the swimming pool, or unwind with a luxurious massage at Ixora Spa. 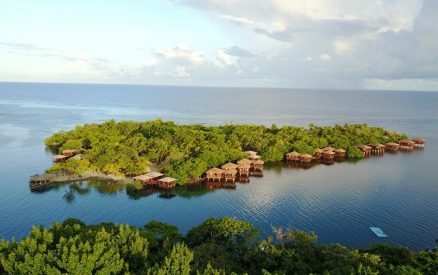 Back on the main island of our Roatan resort, you’ll find one of our most Instagram-worthy spots. With sweeping views, fiery sunsets, and tucked away in the palm-studded hillside, you’ll enjoy spending time in our restaurant and Frangipani Bar. Sip a refreshing cocktail and satisfy your appetite with delicious island fare. 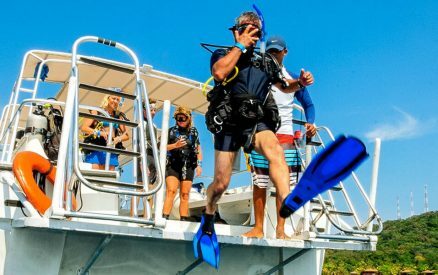 On the dockside, you’ll find the Scuba School, Seaside Gifts & Photos, Photo Roatan, AKR’s Snack Shop, Dive Shop, and the dock with a fleet of state-of-the-art dive boats. 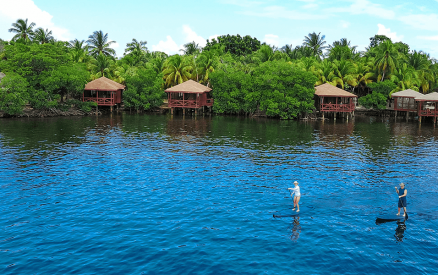 A short walk will take you to the Roatan Museum and Roatan Institute of Marine Sciences. 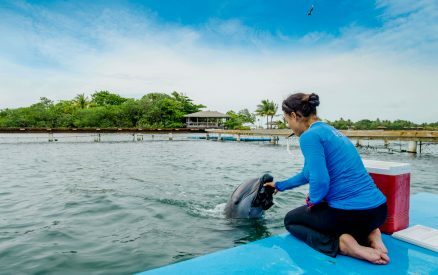 There you can sign-up for educational programs and activities with the dolphins at Bailey’s Key. 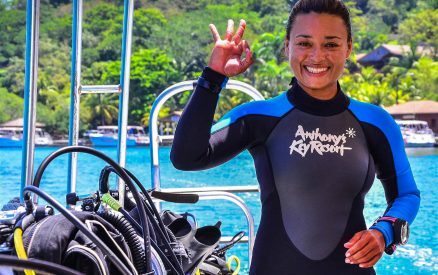 At Anthony’s Key Resort, you’ll have a vacation with the perfect blend of adventure and tranquility during your getaway to Roatan. 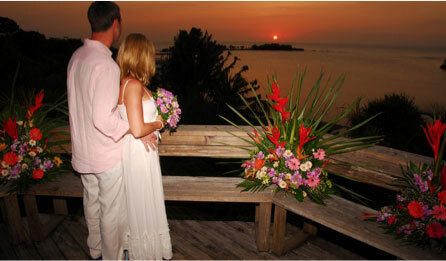 If you need a little inspiration to plan your trip, take a look at our Roatan all-inclusive vacation packages. When you’re here, you’re part of the Anthony’s Key family. Whether you’re making friends during your daily dive or dancing the night away during our weekly fiesta, our amazing staff is always happy to make your day. Don’t believe us? Just read our reviews and see how many of our former guests mention our team by name! Book now, and discover what many have already discovered and why they choose to return year after year to our one-of-a-kind resort in the Bay Islands.